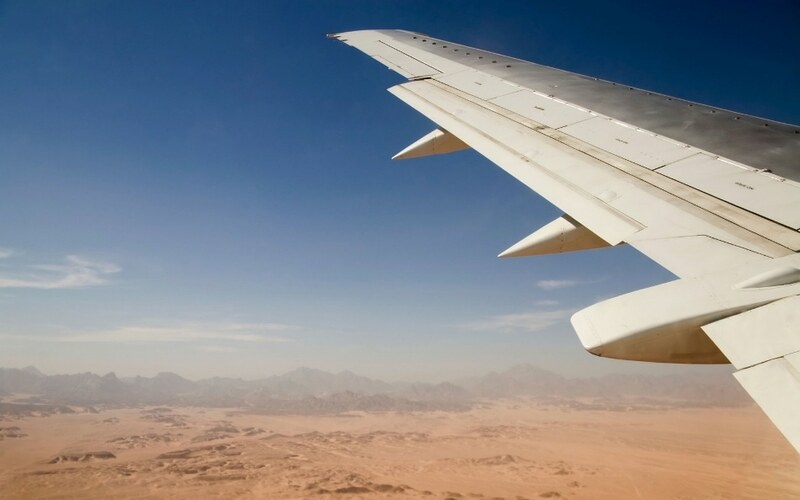 For the first time, researchers involved in the SOLAR-JET Project have exhibited the complete process for producing kerosene—the aviation turbine fuel used in commercial airlines—by employing a high-temperature thermal solar reactor to produce syngas. Shell Global Solutions in Amsterdam adopted the Fischer-Tropsch technique for refining the thermal solar syngas into jet fuel. Scientists from the Department of Mechanical and Process Engineering at ETH Zurich, Switzerland, have directed solar thermal energy of the order of 3000 “suns” into a solar reactor at 1500 °C for thermochemically disintegrating H2O and CO2 into hydrogen and carbon monoxide (syngas), which is the precursor of kerosene and other such liquid fuels. The latest paper of the team, titled “Solar Thermochemical Splitting of CO2 Into Separate Streams of CO and O2 with High Selectivity, Stability, Conversion, and Efficiency,” was presented by Philippe Furler, an ETH post-doc researcher, at the 2017 SolarPACES Conference held in September 2017. Furler is also the head of SolarPACES Task II, an international research team focusing on solar chemistry. The paper gives a detailed account of the propitious solar-steered thermochemical disintegration of CO2 into CO and O2 at a selectivity of 100%, molar conversion rate of 83%, and solar-to-fuel energy efficiency of 5.25%. After thermochemical disintegration of water and carbon dioxide into carbon monoxide and hydrogen, or syngas, the team sent the syngas to Shell Global Solutions in Amsterdam. There, the syngas was refined into kerosene, the aviation turbine fuel used by airplanes, by using the Fischer-Tropsch process. The kerosene produced by the solar thermochemical process could be certified for use in commercial aviation by bringing a minor addendum to the prevalent D7566 specification for synthesized hydrocarbons. Earlier, syngas was conventionally extracted from coal or natural gas. However, considerable studies have been performed regarding the synthesis of solar fuels through solar thermochemical splitting of carbon dioxide and water. The SOLAR-JET researchers are the first to have exhibited the complete process of adopting solar energy for disintegrating CO2 and H2O and for storing, compressing, and then processing the evolving gas into jet fuel by adopting the Fischer-Tropsch technique. CO2 and H2O can contribute as the feedstock for the liquid fuels used for transportation at present. These fuels are just disparate molecular recombinations of carbon and hydrogen. Production of jet fuel by means of solar thermochemical splitting at the industrial level will be crumble the fossil fuel industry. The demand for natural gas and oil as the feedstock for the production of transportation fuel will be zeroed. However, Furler is convinced that the fossil fuel industry will be intrigued in replacing a solar process for jet fuel. I am very convinced that it will be the case that conventional fuels will be punished by CO2 taxes in the future, this will be the main driver. And the big oil and gas companies are afraid of this situation. We believe that this is a future business. In a carbon-limited future, carbon-neutral air travel is the biggest broken thread. “The most important application for this research in the near term will be aircraft, because it is very hard to replace kerosene with anything else,” stated Christian Satter, Head of Solar Chemical Engineering German Aerospace Center Institute of Solar Research, Solar Chemical Engineering. Solar jet fuel could become a central industrial growth opportunity in China, Australia, the US Southwest, Chile and the Middle East and North Africa Region (MENA), which are regions with greater solar resource. According to scientists, the concentrated solar thermochemical technique looks to be the most propitious technique for disintegrating carbon-dioxide and water molecules due to its direct transformation of high-temperature solar process heat into chemical energy. “If you compare our approach to for example PV plus electrolysis then we have the potential to become more efficient and cheaper” stated Furler. A solar thermochemical reactor for disintegrating CO2 and H2O mandates temperatures of nearly 1500 °C and hence considerably higher solar flux compared to prevalent CSP for generating electricity, which functions at just nearly 560 °C. Therefore, solar reactors for carrying out thermochemical splitting use thousands, in contrast to hundreds, of suns to achieve such higher temperatures. “We heat up the reactor to very high temperatures—for this experiment we used 1500 °C and 1000 °C. The high temperatures are required to drive the chemical reactions to split the H2O and CO2 into the mixture of hydrogen and carbon monoxide, with a separate stream of pure oxygen by-product,” elaborated Furler. The most important constituent of the splitting procedure is a high-temperature solar reactor including a reticulated porous ceramic (RPC) structure formed of ceria, CeO2, which enables molecule splitting. Ceria is the state-of-the-art material, it has the ability to release a certain amount of its oxygen and then in the reduced state it has the capability of splitting water and CO2. In the first step, at 1500 °C, we release a fraction of the oxygen contained in the material, thereby a pure stream of oxygen leaves the reactor as a valuable by-product, the second step takes place at a lower temperature, about 1000 °C, and H2O and CO2 are introduced. The ceria wants to uptake the oxygen which it previously held. Since there is no oxygen it needs to split H2O and CO2 in order to access its oxygen, so it splits the water and carbon-dioxide into hydrogen, carbon-monoxide and oxygen to access the oxygen. Now it uptakes the oxygen, and thereby it resumes its initial state, and the product is a mixture of hydrogen and carbon monoxide can be extracted from the reactor. According to Furler, the CO2 used in this process is predicted to be captured from air. Presuming that the CO2 is extracted from atmospheric air, or from biomass, the solar jet fuel will be carbon-neutral as the CO2 used in the fuel production is proportionate to the CO2 liberated as a result of fossil fuel combustion. The team has enhanced the efficiency of the solar process from 2% to 5% by adopting vacuum extraction on the 4 kW reactor. The two-step solar thermochemical transformation by using ceria demonstrates a long-term efficiency of more than 30%. This was a learning over I would say a couple of years, we improved the material morphology in this respect, and achieved the critical results. Then we optimized the reactor prototypes with flow modeling and numerical simulations and the resulting new reactor generation is what we showed in this research paper. We operated the reactor on a vacuum to enhance the extraction of oxygen. This showed to be much more efficient than flowing an inert gas to carry out the oxygen. This is mainly what boosted the efficiency from about two to about 5 percent. The subsequent aim of the team is to increase the efficiency up to 15% by including an advanced system for the recovery of sensible heat of the process. As the team has already demonstrated the technical probability of producing solar thermochemical jet fuel under operating conditions identical to that of the industrial level, the subsequent process will be to seek assistance for intense scaling up. Furler is convinced that the oil industry is fully equipped to assist in the scaling-up process. “We need the support of people with the know how, and guys in the oil and gas industry have shown that they know how to massively scale up,” stated Furler. Furler believes that the oil industry will get involved in substituting the prevalent industrial process in which kerosene is distilled from oil in large oil refineries. If relevant CO2 taxation is levied the process will become very costly and less economically appealing. Dr Andreas Sizmann, the SOLAR-JET Project Coordinator at Bauhaus Luftfahrt, stated that a solar reactor that has a 1 km2 heliostat field can produce 20,000 L of kerosene per day. Such a production from a single solar fuel refinery can be used to operate a large 300-body commercial airliner for nearly 7 hours. Furler has recently established the ETH spin-off Sunredox for commercializing the technology. The industry life of thermochemical solar fuel production will be of the order of centuries, and not decades. The carbon dioxide, sunlight, and water feedstock is necessarily unrestricted.